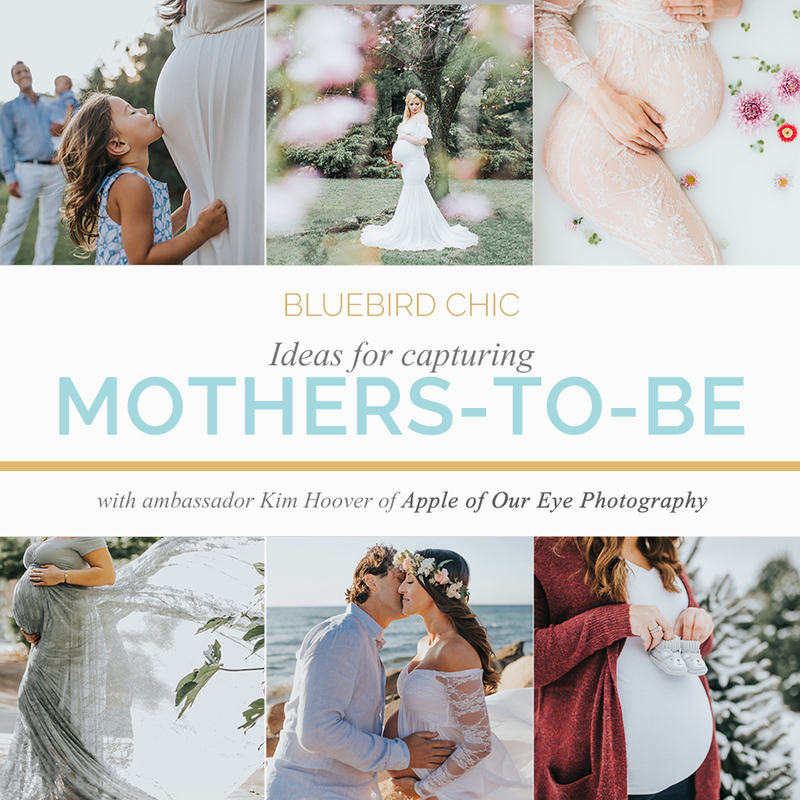 Bluebird Chic ambassador Kim Hoover of Apple of Our Eye Photography shares her passion for capturing mothers-to-be. When I became a mom, I was instantly obsessed with motherhood. The human body is capable of so many incredible things. It’s all so fascinating, and I love being able to celebrate that, both as a mom and as a photographer. 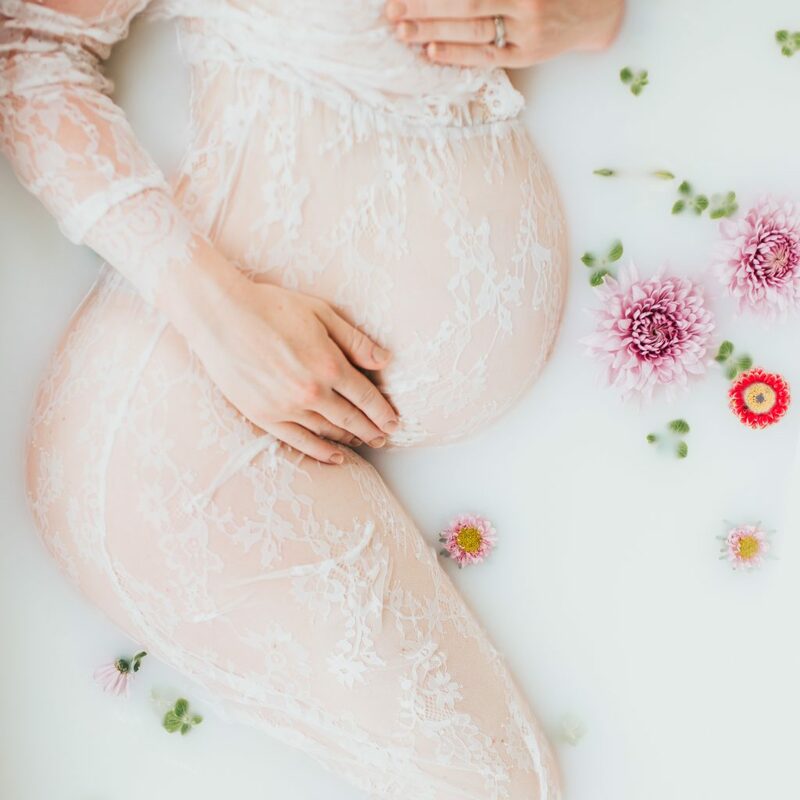 If you’re a mother-to-be here are some ideas to help inspire you to get in front of the camera and record this special time in your life. 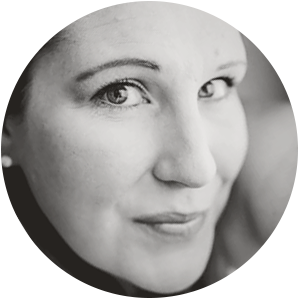 Preferably maternity sessions are done between 32 and 36 weeks. 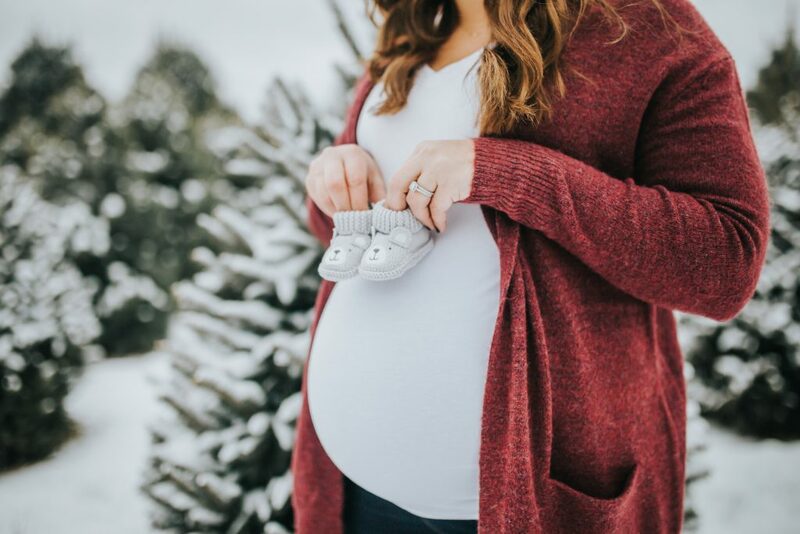 Many women may not be up for modeling or being in front of a camera while approaching those final weeks of pregnancy, as they are typically done right before we feel like we are ready to burst! But remember, it’s all about perspective. Trust your photographer. These photos are such precious keepsakes for you, your partner, and your child. I promise you’ll look back and be so happy you have them. 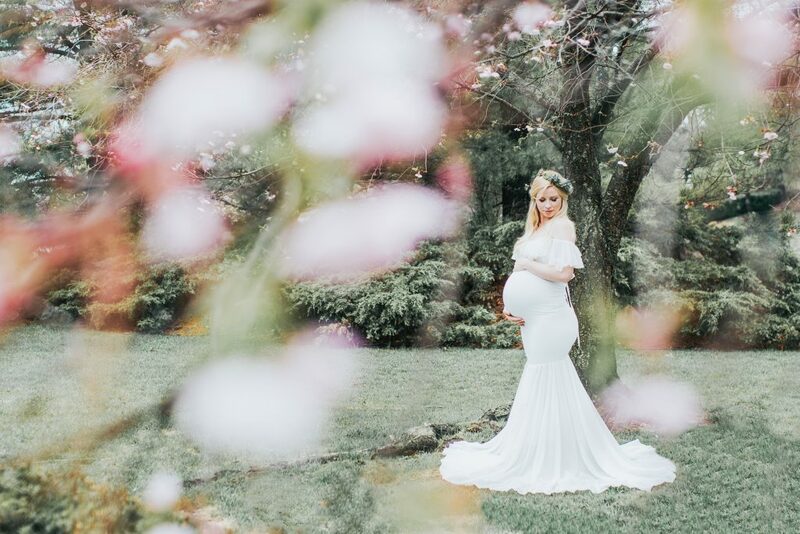 Let us capture you as we see you, and that emotional connection you have with that little person you’ve been carrying for all those months. I find the most timeless images are where mom isn’t even looking at the camera. It’s all about that 9-month bond, the progression of growth, the unconditional love you have for someone you haven’t met, and the eternal connection. When moms are up for it, I may even offer to do a milk bath session. These are typically faceless sessions with more focus on the belly, with floral compliments representing new life. 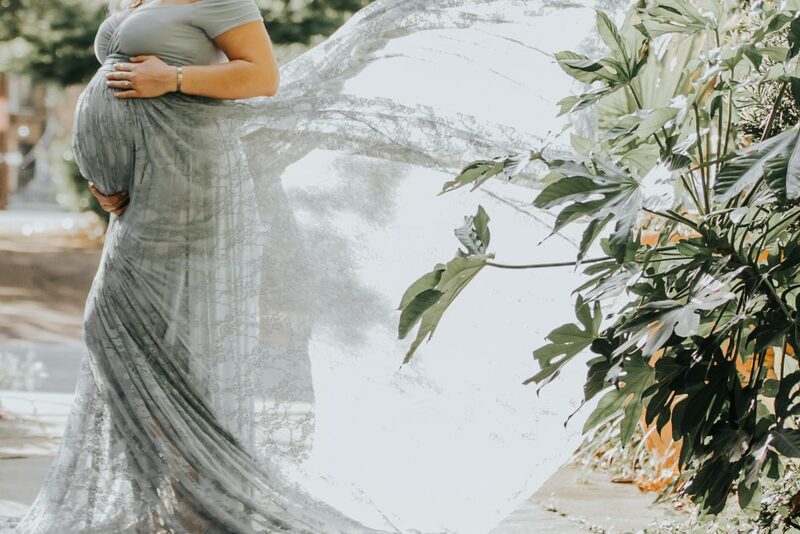 I’ve also recently started a maternity gown collection to have more options available to help moms feel their most beautiful. Let’s face it… when mom feels good, it shows. And, many moms rave about how good their skin feels and how relaxing these sessions are. 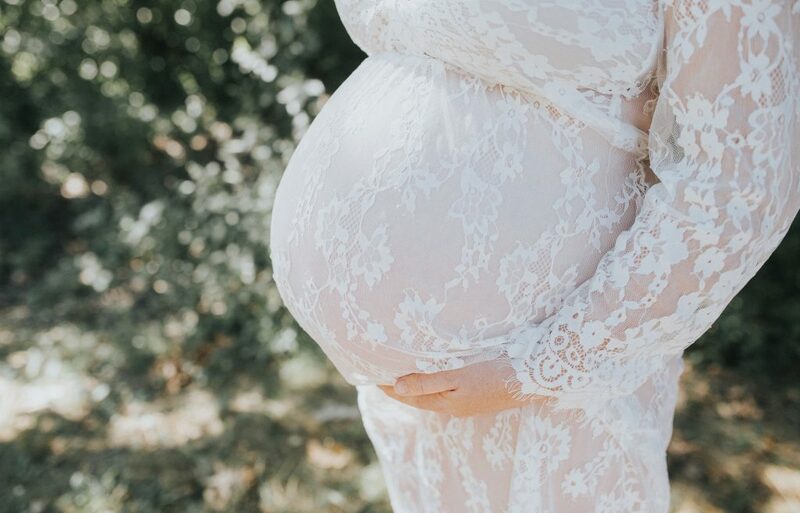 Simple maternity silhouettes are also a timeless art, and can really showcase a woman’s body. I try to do a few of these each session too. It’s good to find good backlight for these, so I recommend a slider or large window with sheer curtains as a bonus. 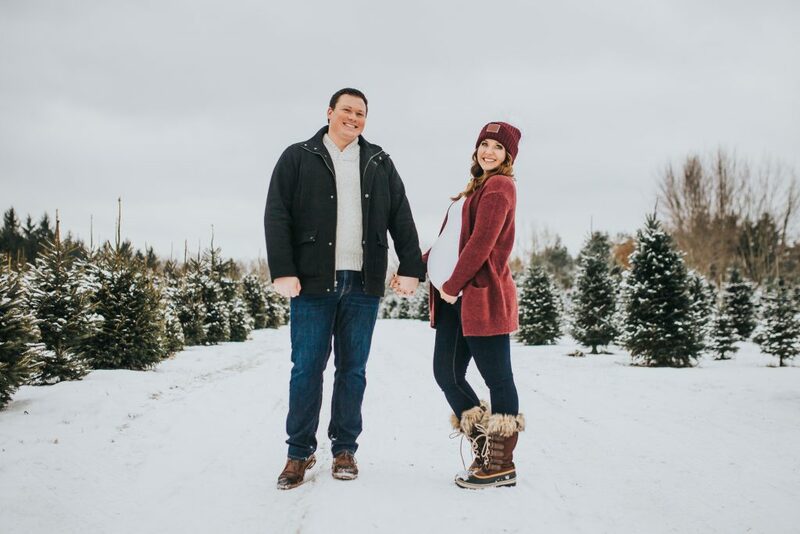 If it’s not a first child, incorporating the other children in some of the shots is a fun way for everyone to feel involved in this special time. It’s such a special time in a woman’s life, and it’s also an important time for an entire family as they prepare to welcome new life. 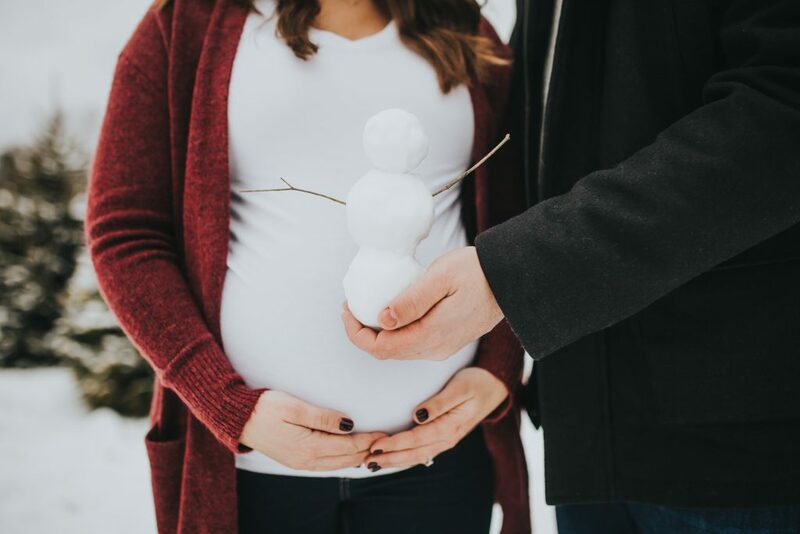 Whether it’s pregnancy announcements, incorporating cute props that are unique to your interests, the seasons, fun gender reveals, or countdown ideas, many photographers are thrilled to offer creative ideas to help you celebrate your news.